It didn’t take long for Robert Alford to find a new NFL team. 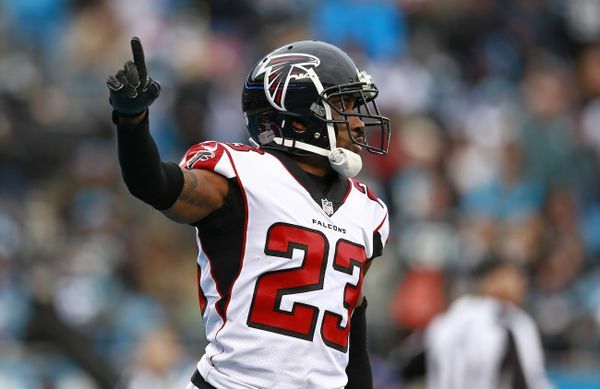 On Thursday, the Arizona Cardinals announced that they signed the veteran cornerback to the roster two days after he was released by the Atlanta Falcons organization. Alford signed a three year contract with the Cardinals, an agreement worth a base of $22.5 million, but can rise in value up to $24 million, according to NFL Media’s Ian Rapoport. In addition to those terms, the player will get a $13.5 million guarantee. The opportunity to play opposite Patrick Peterson was a decisive factor for Alford in choosing Arizona. The Cardinals finished 3-13 last season, have a first year head coach in Kliff Kingsbury, and what appears to be a talented secondary with Alford, Peterson, and David Amerson at the corners, in addition to Budda Baker and D.J. Swearinger at the safety positions. Alford played in 88 games for the Falcons and started 76, intercepting 10 passes, including an 82 yard pick six against Tom Brady in Super Bowl LI. By releasing Alford, Atlanta will save an approximate $7.9 million in salary cap space, while absorbing a smaller $1.2 million dead cap hit, according to figures calculated by Spotrac. That $1.2 million number represents the signing bonus that Alford earned in his final contract with the team and is the 15th largest dead cap hit for the organization in the 2019 offseason. While Alford lent the Falcons secondary some credible experience, and a few highlight plays, the organization had been scouting a viable replacement for a few years now, including the drafting of Jalen Collins four years ago, and picking Isaiah Oliver in the second round this past year. It appears Oliver passed the test playing in place of Alford this season as a rookie. Atlanta was interested in featuring a less penalty-prone player in the corner. This past season, Alford led the Falcons as a team with 12 called penalties against him.